Miniature coffin door that opens. 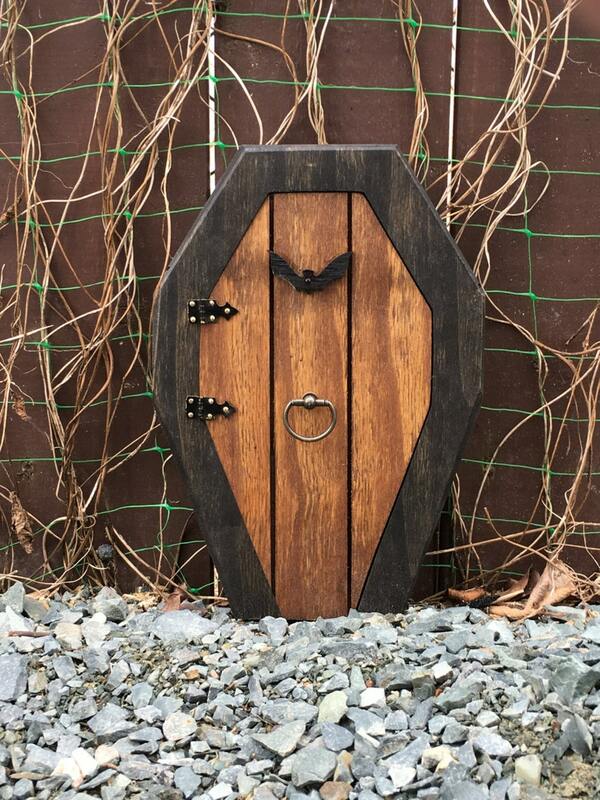 You are commissioning me to construct a miniature coffin door that opens like the one pictured. This charming door is approximately 10.5 inches high and 7.25 inches wide. It is constructed by me with care from 3/4 inch solid select ply board. These doors also look great against the skirting of a house, or even on a shelf. You can easily attach the door to any surface using the keyhole slot on the back of the door's frame. A Fairy door / Gnome door that OPENS. 12 inch rounded Gnome / Fairy door with lion knock. A Fairy door / Gnome door that OPENS. 9 inch rounded Gnome / Fairy door with lion knock. Fairy door that opens, outlet cover casing. Very easy transaction and soooo cute!! Gnome doors, Fairy Door, Faerie Door, Elf Door, 5 inch rounded with miniature lion knocker.